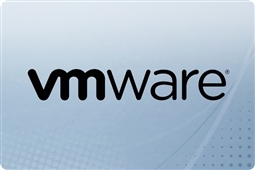 Get VMware vSphere Essentials Annual and Per Incident Support Licenses Here! VMware vSphere Essentials Service and Support (SnS) is the ideal way to make sure your business stays covered for updates, maintenance, and support when using the VMware vSphere Essentials suite of products! Aventis Systems carries a wide variety of per incident or annual VMware Essential service and support agreements perfect for Small to Medium Sized Businesses using the Essentials suite of products, but not the advanced high availability features. What is the difference between vSphere Per Incident Support and VMware Essentials annual support agreements? VMware vSphere Essentials Per Incident Support gives access technical support by incident Monday through Friday and 12 hours per day. VMware vSphere Essentials hypervisor licenses require you to purchase per incident support to receive technical guidance as well as documentation and knowledge based articles from the skilled team of VMware engineers! Per incident support licenses must be purchased during the general support term of your VMware license and are valid for up to 1 year after purchase, and we offer per incident support agreements for 1, 3, or 5 incidents where technical support is needed. VMware vSphere Essentials Support Subscription annual licenses enable functionality to perform server consolidation, business continuity, and centralized management for you virtualized environment! These vSphere 6 Essentials Support licenses are available in 1 year and 3 year subscriptions, and are tied to the VMware vSphere 6 Essentials version your business is currently using. With your VMware vSphere Essentials Support Kit you will receive coverage for any new updates or releases of vSphere Essentials that become available during the support term! All Aventis Systems VMware vSphere 6 Essentials support and service licenses are delivered via electronic download for your convenience! Additionally, your VMware contract number and email will be required to tie your support to an existing license. So shop our products below and get the ideal VMware vSphere 6 basic support coverage for your business today with VMware vSphere Essentials Service and Support!